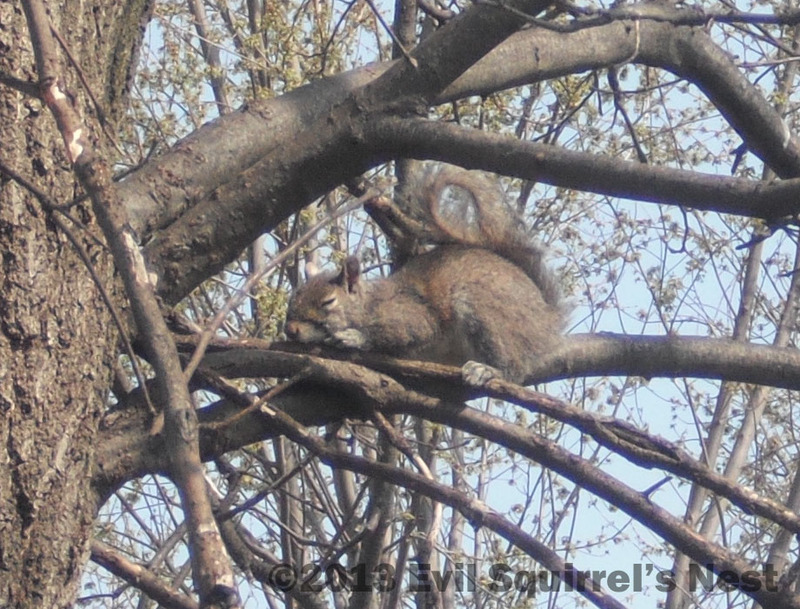 Looks like someone had too much fun celebrating National Squirrel Appreciation Day. Whoever designed this must have had something against the Western Hemisphere. What’s the closest thing you’ve experienced to real magic? 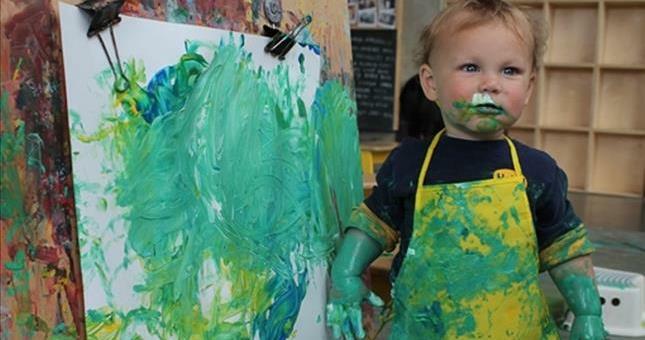 Who is the messiest person you know? And why? If you could know the absolute and total truth to one question, what question would you ask? What benefits does art provide society? Does art hurt society in any way? Art’s first and foremost intention is to benefit the creator… whether that’s through some sort of therapeutic release, scratching a creative itch, or maybe just for pleasure. That pleasure can even solely come from the expected reaction of others to the art. As someone who enjoys entertaining others, a lot of the things I create (especially here) are done mainly with the hopes of garnering a reaction from others. When I’m muttering about a lack of comments on this blog, I’m rather selfishly sulking about not getting the response I expected from something I did. I think I just totally deviated from the actual question… which is an art form I’m an expert in. You all better like this, or I’m gonna throw a tantrum! What’s something positive you’d like to share? Can be a smile, a joke, or music..anything that gave you a lift this week! Longtime Nester Jenn created a bunch of crafty ornaments this past Christmas, and replied to my comment on that post by saying she should create an Evil Squirrel ornament. Lo and behold, this just came out of my mailbox this morning not even an hour ago! Mitzi wasn’t included in the envelope and is just there for decorative purposes. But there’s Evil Squirrel sewn onto a tiny pillow, and I love it!!!! Thank you so much, Jenn, for actually making me an ES keepsake and mailing him to me! He will be a cherished part of my shelf forever and ever!!! 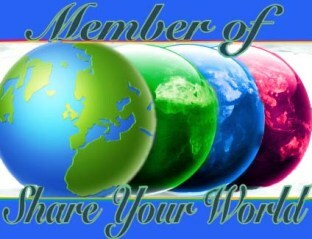 This entry was posted in Share Your World and tagged art, evil squirrel, gift, jenn, jimmy hoffa, magic, messy, mitzi, ornament, share you world, truth. Bookmark the permalink. That is one very cool keepsake! Nice job. Some people are just so dog-gone clever and can execute it well. Bravo. It is a very good likeness of myself, if I do say so. Yano, I designed the logo (patterned after the one Cee Neuner had on SYW for years before I took it over). And I never noticed the lack of the Western Hemisphere. Now I must address that, because it’s gonna drive me bonkers until I ‘fix’ it. Um. Thanks. Now onto the E.S. 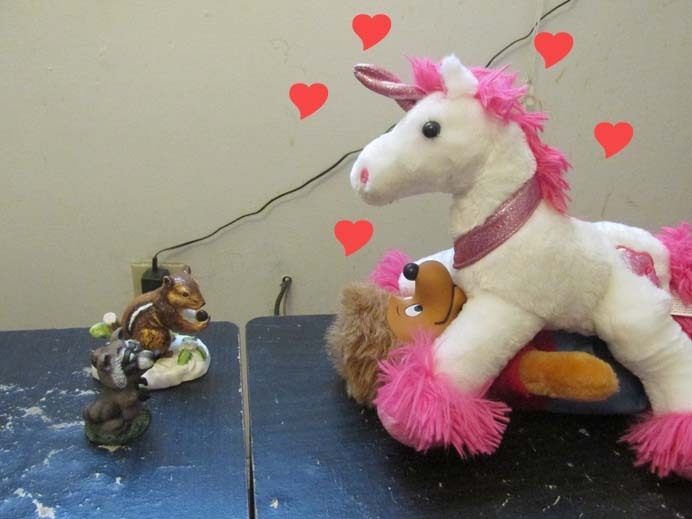 World… Is that um, interspecies unicorn bonking? How very p.c. 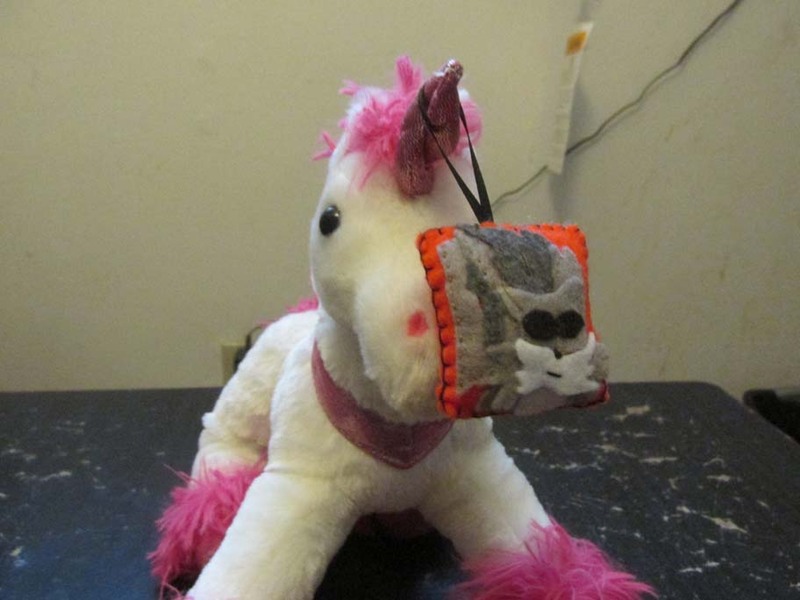 of Mitzi (she’s the Unicorn, isn’t she?) and how great that she got to be on top. Go Unicorn Girl Power!! I too wonder, now and then, whatever happened to ol’ Jimmy. Witness Protection? Complete facial reconstruction so his former questionable cronies don’t find him nor recognize him? He’s buried in the landfill in NYC somewhere or the fish in the Hudson are fatter because they got to eat him? Will we ever know? And your keepsake? You have great admirers obviously!! 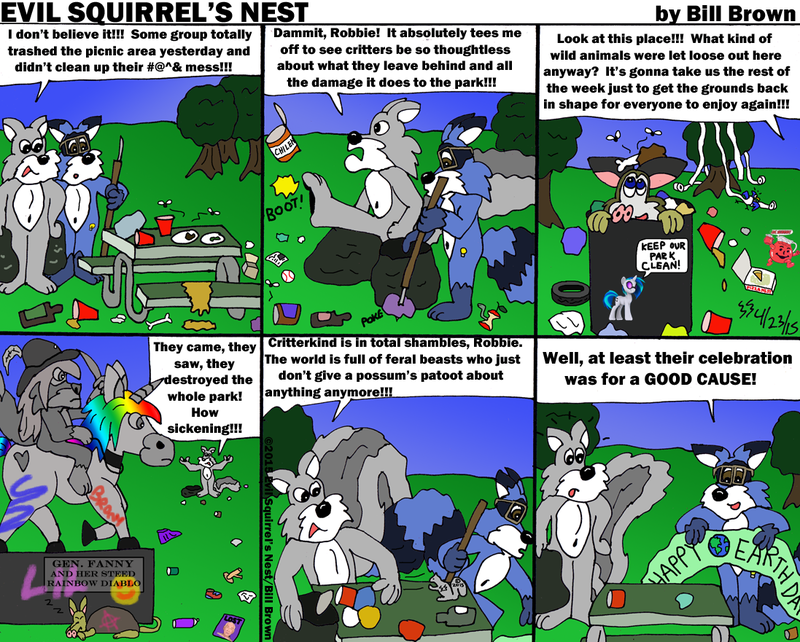 Thanks so much for Sharing Your Squirrelly World with us!! I remember the original logo, and think I may have even comments on someone’s SYW post way back in the day about the Old World centric status of the globes. Mitzi, like many of my shelf critters, is…. something else. Very outgoing. Very free spirited. Very….. well, her nickname is the Bimbocorn. PC isn’t a phrase that could be used to describe anything my critters do, though if there’s a personification (or unicornification) of free and unlimited love, Mitzi would be it. I always like reading answers to the SYW questions. I agree that creating fictional worlds out of nothing is magical. In fact, I’d go so far as to say that creating anything out of nothing is magical. What cool mini ES pillow! I feel privileged to have seen the SCT magic unfold. Great answers this week to some great questions………and I wanna know about Hoffa too…..if you find out let us know will ya? LOVE LOVE LOVE the adorable squirrel ornament your friend Jenn made…..it’s fabulously CUTE. 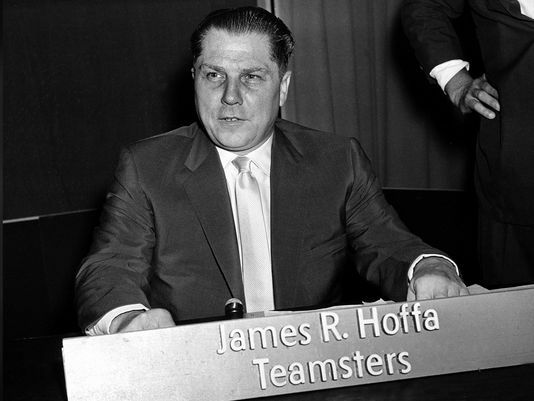 Hoffa disappeared the same month I was born, so I’ve always felt a connection with the mystery surrounding him. Not saying I’m Jimmy Hoffa reincarnated, or anything…. I mean, I don’t want THEM to come for me too!